My basil bush needed a severe pruning ahead of the cold of winter, I ended up with two huge bags of beautiful fresh basil leaves. 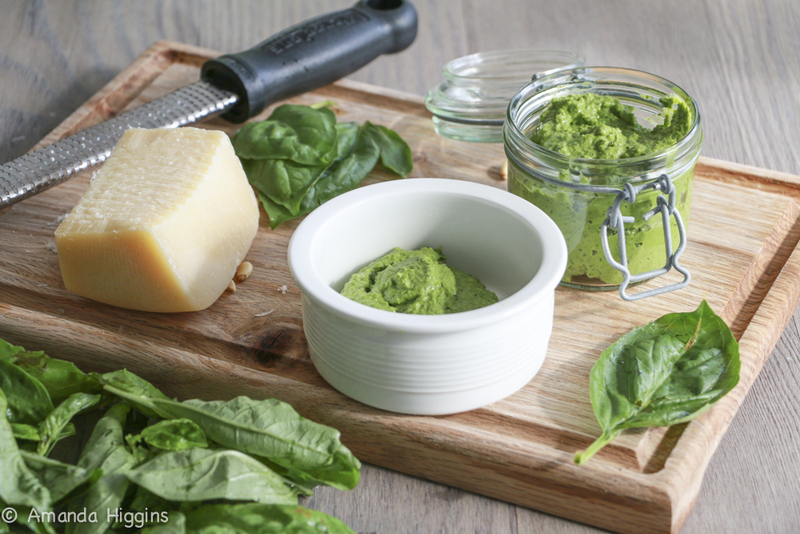 Hey presto – pesto time! My recipe uses a little cheat which makes it go further and bulks it up. I use ground almonds as well as pine nuts. Pine nuts are very expansive and the ground almond makes it a little cheaper. My kids eat masses of pesto and it becomes very expensive to keep buying it. It is super quick to make and much tastier then the shop bought version. I pop it into little containers and put it in the freezer to make it last. I use pesto in potato salad, spread on fresh fish, on a sandwich, pasta, a dollop in some soup….. a super healthy way of making a dish tasty! It is best to have a food processor for this recipe. My recipe is a rough guide as to the quantities. Keep tasting till you get the flavour which works for you. This recipe is incredibly easy and quick. Pop all the ingredients into the food processor and blend. Adjust the flavour and texture to your liking. Add more lemon or salt depending on how sharp you like the flavour. Store in a glass jar in the fridge. Will keep for a few weeks. 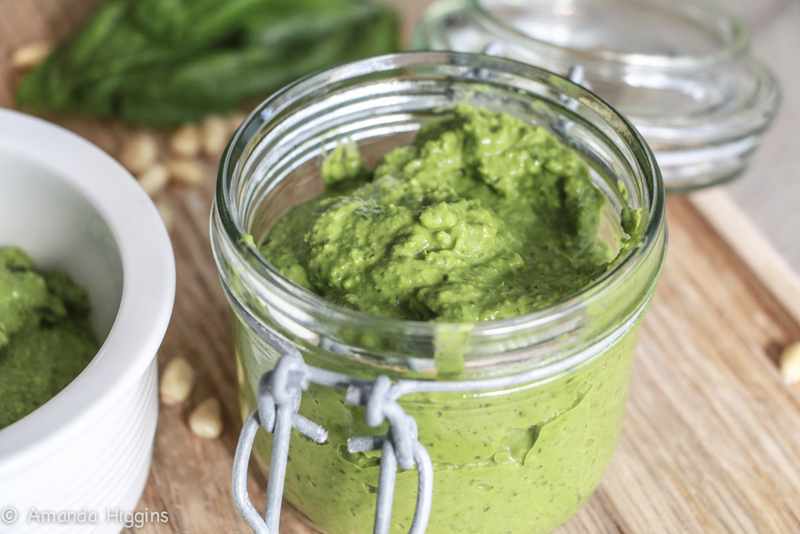 This luscious green vitamin enriched condiment has amazing health benefits. Rich in vitamin A and high in magnesium which is good for cardiovascular health, as well as having anti-inflammatory benefits, why not give it a try.